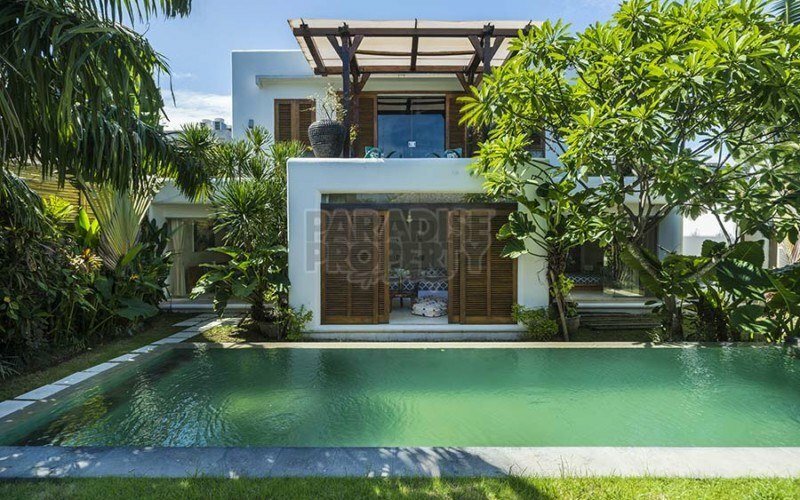 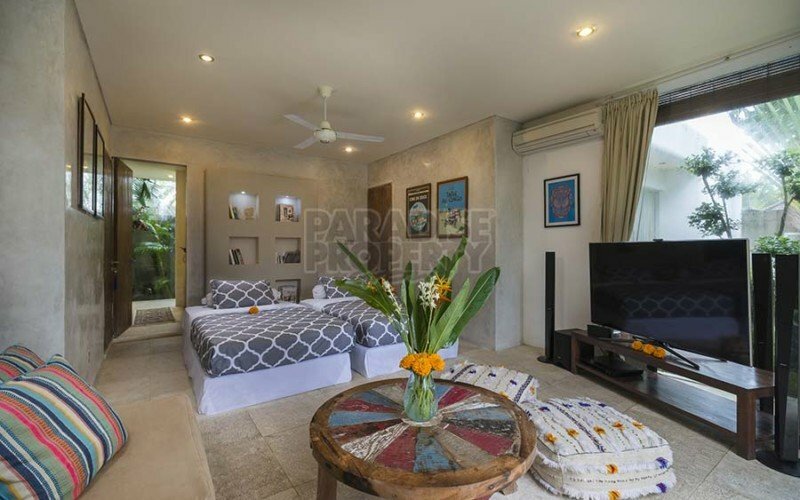 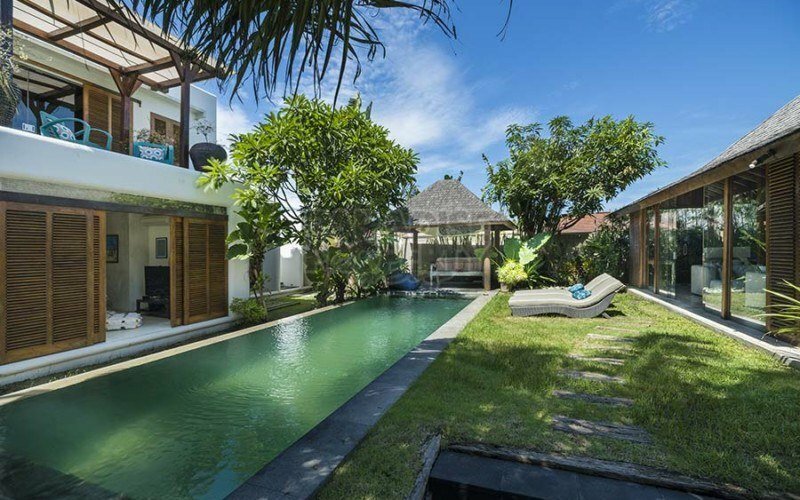 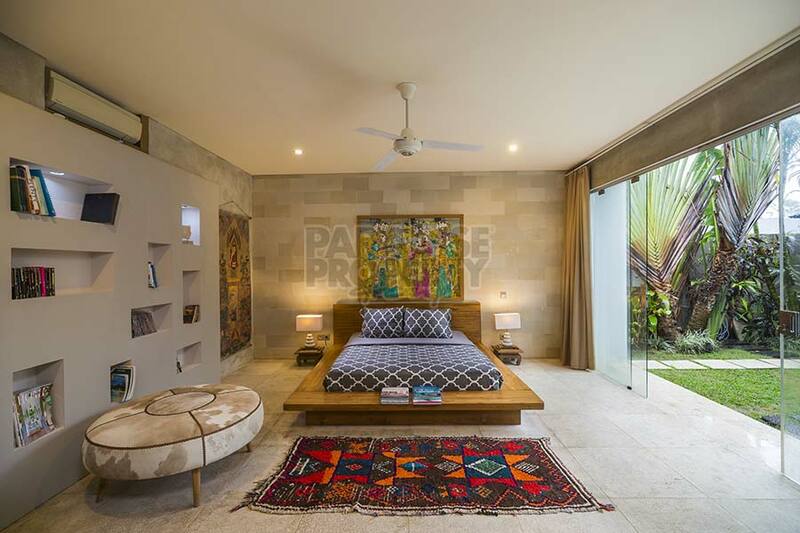 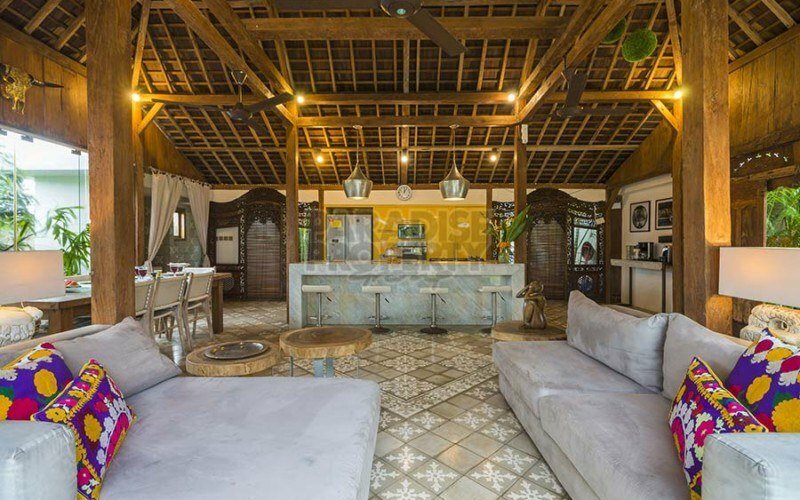 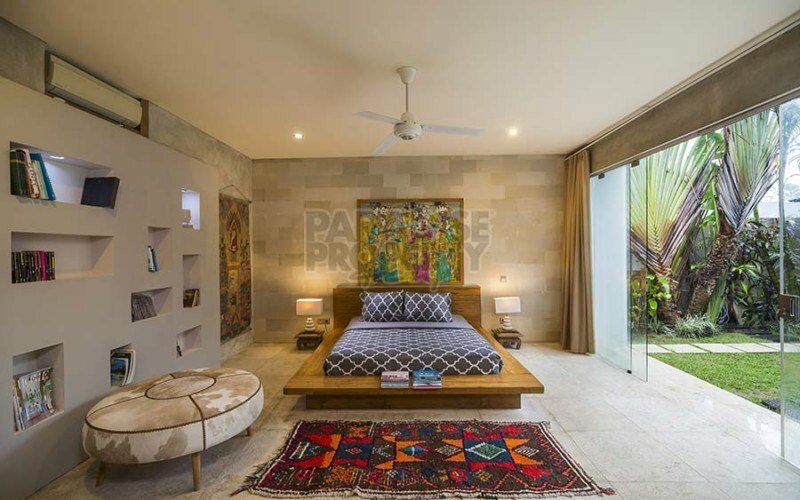 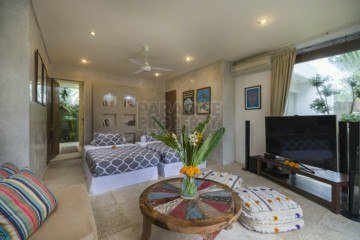 This spacious villa with 4 bedrooms and 2 ensuites, is uniquely designed with a modern Javanese – Moroccan style. 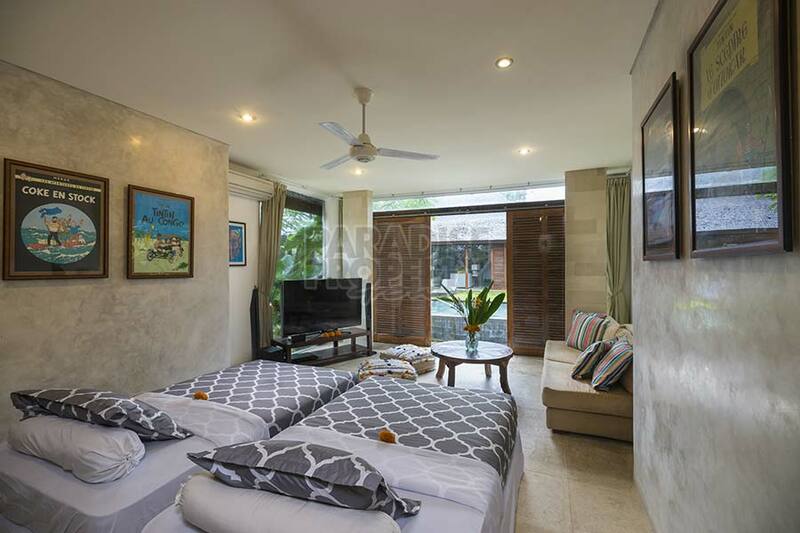 Feeling the tranquil ambiance of each room will bring you enlightenment, with its privacy in a quiet neighbourhood. The 2 storey villa is bright and refreshing, letting in natural light due to the open space between the dining area and sparkling swimming pool. On the ground floor there is a separate lounge room, dining area and fully equipped western style kitchen, all overlooking the large garden and swimming pool, as well as a guest toilet. 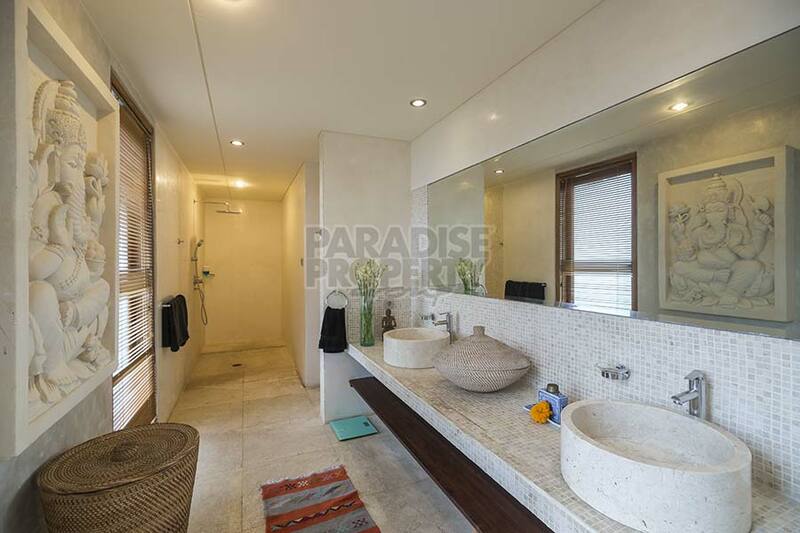 There is also a staff area and wet kitchen as well as ample storage space. With a separate building of rooms to make it private, thus 2 bedrooms have a shared bathroom and 1 bedroom has an ensuite to complete its living style. 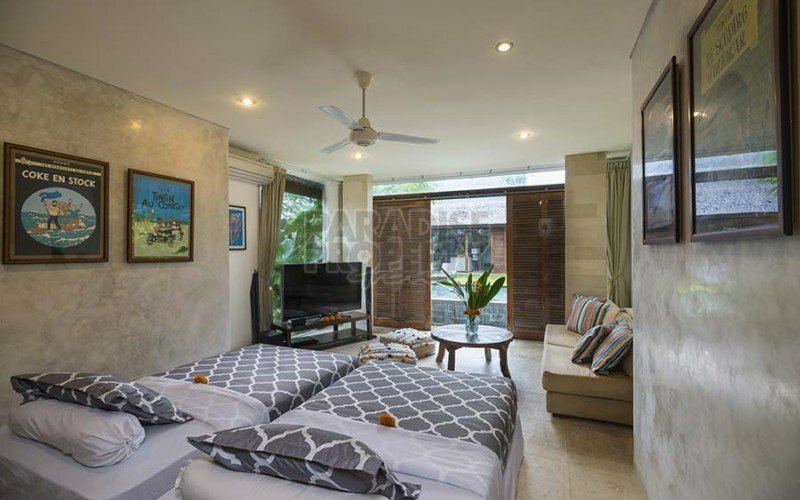 On the second floor, there is 1 master bedroom plus a beautiful balcony looking out to the large swimming pool and garden, creating a relaxed feeling. 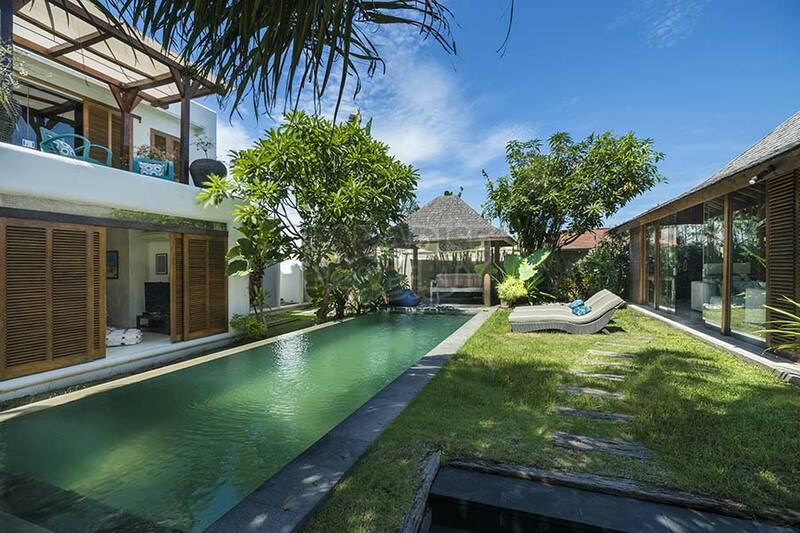 This villa is the perfect family home or holiday rentals. 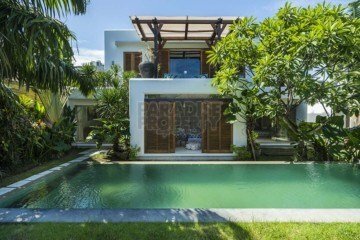 Located in the middle of quiet complex but just minutes away to fashionable Seminyak and classy W Bar, Potato Head Beach Club and other entertainment venues. 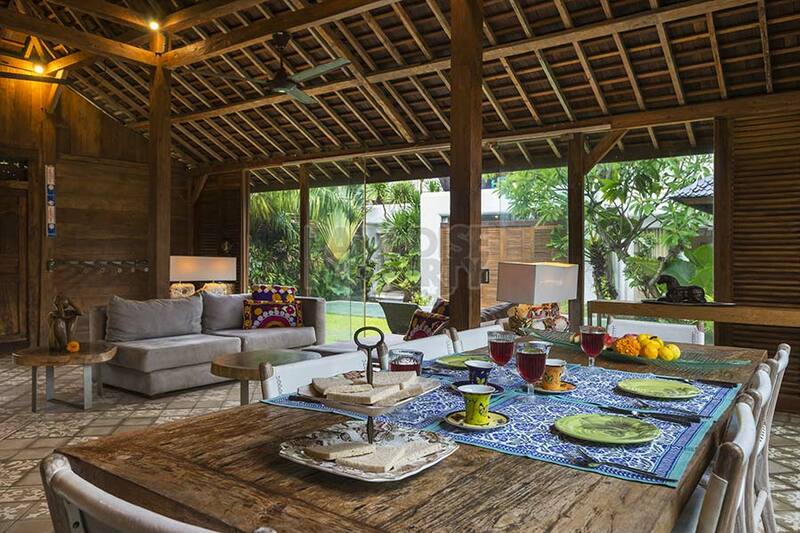 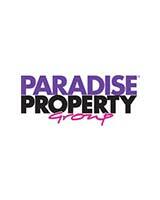 The price for this villa yearly is: IDR 850,000,000 (USD $60.000) and includes staff expenses, poolman and gardener.